On this date in 1979 the Iranian revolution established a theocracy under the supreme leadership of Ayatollah Ruholla Khomeini. This entry was posted in Anniversaries, Notebooks, Religion on February 11, 2011 by Michael Happy. This small holograph notebook, discovered in the bedside table of Elizabeth Eedy Frye following her death in May of 1997, is a Double Vision notebook. 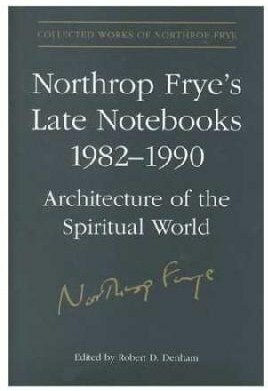 It was not included in Northrop Frye’s Late Notebooks, Collected Works, vol. 6. The numbers in square brackets at the end of some entries refer to the paragraph numbers in the typescript for Notes 53, where there is a similar or parallel entry. Parallel passages in Notes 54‑1 are also noted in square brackets. This is one of the few examples of Frye’s using a holography notebook as the basis for his typed notes. Transcribed by Robert D. Denham. Fiction. Cena form. Characters meet in a house with mind-bending characteristics. Paradoxes of time‑space (bilocation) and life‑death involved. Characters as Jungian archetypes: house is unity of social and individual body. Romantic archetypal characters: enough realism for a novel: cena form but an individual as well as group enlightenment. Some things take on a curious importance; Charles Williams, Mary Johnston’s Sweet Rocket , things in other contexts I’d call second rate. Something to think about: not necessarily something to write. The feminist objection to “man” for “man & woman” is part of the literal fallacy. Essays from the valley: the pleasant valley, the Tao Te Ching valley, the valley of dry bones, of the shadow of death. Probably a fifth.
] Who the hell is Arturus Rex? No evidence that he was ever a god or had a cult; the British fighter of Saxons is totally irrelevant. I mean the Arthur of Camelot, presiding over the Round Table, sending knights out on quests and collecting their defeated giants. Nobody like him before or, really, since. The two views of Tempest as (a) profound (b) potboiled not incompatible. This entry was posted in Bob Denham, Notebooks, Unpublished on January 23, 2011 by Bob Denham. The Tibetans say that when you die you get a flash of reality (Chih-kai [Chik-hai] Bardo) that for everyone except a yogi saint is bewildering & unrecognizable, whereupon you pass into a plane of hallucination (Chon-yid Bardo) & then seek a womb of rebirth (Sidpa Bardo). I don’t know about after death, but it’s an excellent account of all other crises of the spirit, & so may be true of that one. So often it happens in meeting someone who needs help & can be helped (or encouraged) there comes a sudden flash of the right thing to do, the courteous & beautiful act, instantly smothered under a swarm of spawning Selfhood illusions of timidity, laziness, selfishness & the rest, whereupon the moment of what we rightly call inspiration passes, and we return to the ordinary level of existence. 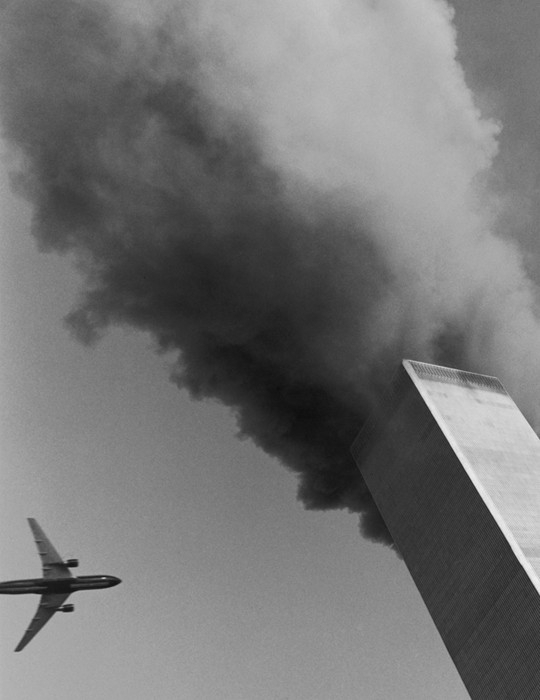 It’s only rarely that we even recall having such a moment, & perhaps the capacity for having them could be destroyed. One of the major efforts of all discipline is to unbury the consciousness of the moment that Satan can’t find, as Blake calls it. Hence the importance of achieving spontaneity, Butler’s unconsidered control. In social relationships we always admire the person who acts, to quote Blake again, from impulse & not from rules, and we assume, however unconsciously, that such impulses can be trained to achieve adequate & accurate expression. That is perhaps why Jesus stresses the unconsidered life—I’m not thinking of the lily passage [Matthew 6:28] so much as the instructions to the apostles not to rehearse their speeches [Matthew 10:19–20]. It is true, however, that the way of achieving such development is to concentrate on the present moment, which implies that all idealization or brooding over the past, and all idealization or worry over the future, are diseases of the soul—hence the lily passage.
 . . . The mystics also think in terms of an ascent, a ladder of development, usually to be completed after death—well, that’s the Catholic doctrine of purgatory, which seems to me an effort to adapt the doctrine of rebirth to Christianity. If I had to believe in either, I’d choose rebirth, as purgatory as a set plane of existence different from this doesn’t make sense—Dante’s purgatory is in this world, by the way. The Protestants identify the initial conversion with the final vortex, & I wonder if this Lankavatara Sutra I’m reading, in spite of its traditional guff about a stock of merit accumulated for God knows how long, doesn’t point in the same direction. We speak of fruitful & sterile ideas, & it is perfectly true that ideas beget & reproduce like everything else alive, but it isn’t just a linear Orc-reproduction: we want novelty, but we want too a consolidating form, a family appearing as a single Man. And while one shouldn’t be a Thel, & should haul our ideas out into Generation & write books & take the bushels off our lights, still what really happens is simply a growth in our minds, a turning from a centre to a circumference. Hence, really, all ideas are unborn. If there is no death there is no birth either, and of course no life. When a man of eighty says he never felt better in his life everyone knows he has never been so near his death, but the statement may be true for all that. I used to think of people who never believed anything except on evidence or reasonable deduction therefrom as materialistically minded. Now I just think of them as stupid. That looks from outside as though I were getting bigoted & provincial, but I know I’m not, or if I am it doesn’t matter. Peace, it’s wonderful. Here is a speculation which probably makes no sense whatever: Christians & Buddhists have the same sense of escape from time, but the Westerner says we never die because he thinks of immortality as continuity of energy, & the Easterner says we have never been born because he thinks of immortality as release from karma or causation. But both are equally true, or untrue, whichever you like. When the Westerner tries to absorb the idea of unbornness, he tumbles into the “predestination” pitfall; when the Easterner tries to get clear about deathlessness, he gets into the “reincarnation” one. There are forms of these doctrines which make sense, of course: the ones that don’t, the babies slated for hell & the there’s-that-man (or beast)-again superstitions, illustrate the difficulty. The Delphic oracle urged man to know himself, meaning not an increase of introspective knowledge, but the struggling of consciousness which at the same time apprehends the world more accurately. Dreams are subjective, but maybe a dream fully interpreted would become a vision. There must be a point at which it ceases to be true that it’s a subjective experience. Dreams aren’t Ulro nightmares: in general, man lives in G [Generation] during the day & B [Beulah] at night, as, perhaps he lives in G from life to death & in B from death to life. The past is hell, the eternally fixed state where the ghosts of dead sins & errors are forever imprisoned. The future begins in childhood as a world of infinite potentiality. As life goes on, the future becomes steadily more predictable, & the life consequently less interesting. Children fascinate us; old men bore us because they conceal no surprises. At death the future finally merges with & joins the past—in Dante’s hell the future but not the present is known. Life reaches its crisis nel mezzo del cammina, the sun at its highest in the sky, realizing with a shudder that it is bound to a cycle & must now descend. Hence the importance Jung attaches to the 35–40 period: its timing may depend partly on the length of the life, which of course the unconscious always knows. I think one has to be reborn now & start in fancy all over again in relation to a new kind of life, as though the sun at zenith were to think of itself as at the bottom of reality & start rising & straight up. That way, the imgn. [imagination] may grow stronger as the foolish body decays. The optimism I have inherited from my father, the feeling that next year things may be quite different & much better, should be conserved, though some of it is dodging. I have inherited another feeling, of wanting to get rid of things that are lost, or spoiled, or a bother, as quickly as possible instead of trying to recover or patch them up, & there is a certain danger of applying this to my own life & going off the deep end over reincarnation. This conception of hell as the past may be useful. Dante was psychoanalyzing himself, & straightening out the kinks in his character by analytic reduction, in going into hell. In connection with that, I suppose the psychological value of the doctrine of original depravity is in upsetting the smugness of the egocentric consciousness. The consciousness is transitory, and we derive our idea of the present from it. Each dimension of time breeds fear: the past, despair & hopelessness & the sense of an irrevocable too late: the present, panic & sense of a clock steadily ticking; the future, an unknown mystery gradually assuming the lineaments of the consequences of our own acts. Hope is the virtue of the past, the eternal sense that maybe next time we’ll do better. The projection of this into the future is faith, the substance of things hoped for. Love belongs to the present, & is the only force able to cast out fear. If a thing loves it is infinite, Blake said, & the act of love is itself a vision of a timeless world. Oh, God, how well I talk. Deteriora sequor. Or do I just say that because of an obscure feeling that such statements are somehow approved of by some atavistic God in my infantile shadow world? Evidently the superego transforms the Ego-Id relation into an Ego-Tu one. The ego swallows its parents and puts them to guard the door of the Id. As obstacles, they’re Satan & Rahab; as transparent, Los & Jerusalem. The ego, the reality-principle, deals with conflicts of truth & error; the id, the pleasure principle, with conflicts of good & evil. As opaque, the parents are narcissistic, reflecting the ego on itself, & also presenting the pleasure-pain values of the id in terms of a moral law of good & evil. Freud says that the id is inherited & the ego isn’t; the superego, being the boundary, is a memory which may be a revived inherited memory, Jung’s archetype. Anyway, what the ego has to do is swallow its parents a second time, in their second or permanent death, & occupy their place. When it does so it is, in Jungian terms, the Self, between the ego & the id. One should think of truth, not only statically as the correct formulation of propositions, but dynamically, as the normal current of the energy of the soul. These correspond to the allegorical & moral levels in Dante. A lie is to the intellect what a neurosis is to the emotions, a blocking point which dams up the current; a stone around which it forms whirlpools. Hence imaginative people who keep spinning spider-webs in their minds make the best liars, as they make the best use of neuroses. For vigorous extroverted people “living a lie” is an intolerable burden, & confession for them has the quality of a physical compulsion. A great deal is said about the psychological rightness of Catholic auricular confession: as usual, the priest absorbs both the indwelling Christ & the social community. The point about “know thyself” is to pervert self-deception, so that the lies one is obliged to tell in the interests of the persona won’t stay in the mind—thus Johnson’s “clear your mind of cant.” Probably one has to lie to men—certainly to women—but not to know that one is lying is to lie to God. Honesty with oneself carries off social lies in a private excretion. Honesty with others follows: you can’t interpret James’s “confess your sins to one another” [James 5:16] as the Oxford Group does, because shitting in a group is a perversion, or rather a fixation of childish curiosity. One has always to remember the dynamic nature of truth, and hence of reasoning. “My father has money; I shall have it when he dies; I need money now; he must die now.” Depending on the extent of one’s capacity for parricide, that sequence may be anything from irrefutably logical to unthinkable. This entry was posted in Bob Denham, Death, Notebooks on January 23, 2011 by Bob Denham. Why do people call me “anti-historical”? I talk about myth, and it’s myth that’s anti-historical. It’s the counter-historical principle, just as metaphor is the counter-logical principle. History doesn’t repeat itself; history repeats myth. (It’s not simple repetition, though: it’s not a da capo aria but a theme with variations.) As I’ve often said, you never get logic in literature: what you get is what Susanne Langer would call virtual logic, a rhetorical illusion of logic. Similarly you never get history in literature: you get virtual history, history assimilated to myth. This entry was posted in Myth, Notebooks on September 10, 2010 by Michael Happy. It is a great pleasure to announce that three previously misplaced sections of Notebook 13 have been posted in the Robert D. Denham Library here. 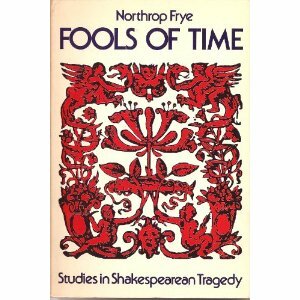 The material includes notes for the Alexander lectures which eventually became Fools of Time, notes for Frye’s book on T.S. Eliot, as well as a miscellaneous set of reflections on the imagination, false gods, Romanticism, Poe and other topics. This is unpublished material, so that makes it especially remarkable. This entry was posted in Denham Library, Notebooks, Unpublished Work on September 6, 2010 by Michael Happy. On this day in 1666 the Great Fire of London ended. I up to the top of Barking steeple, and there saw the saddest sight of desolation that I ever saw; every where great fires, oyle-cellars, and brimstone, and other things burning. I became afeard to stay there long, and therefore down again as fast as I could, the fire being spread as far as I could see it; and to Sir W. Pen’s, and there eat a piece of cold meat, having eaten nothing since Sunday, but the remains of Sunday’s dinner. Here I met with Mr. Young and Whistler; and having removed all my things, and received good hopes that the fire at our end; is stopped, they and I walked into the town, and find Fanchurch-streete, Gracious-streete; and Lumbard-streete all in dust. The Exchange a sad sight, nothing standing there, of all the statues or pillars, but Sir Thomas Gresham’s picture in the corner. Walked into Moorefields (our feet ready to burn, walking through the towne among the hot coles), and find that full of people, and poor wretches carrying their good there, and every body keeping his goods together by themselves (and a great blessing it is to them that it is fair weathe for them to keep abroad night and day); drank there, and paid two-pence for a plain penny loaf. Thence homeward, having passed through Cheapside and Newgate Market, all burned, and seen Anthony Joyce’s House in fire. And took up (which I keep by me) a piece of glasse of Mercers’ Chappell in the streete, where much more was, so melted and buckled with the heat of the fire like parchment. I also did see a poor cat taken out of a hole in the chimney, joyning to the wall of the Exchange; with, the hair all burned off the body, and yet alive. This entry was posted in Anniversaries, Notebooks on September 5, 2010 by Michael Happy. I am working on three sections from Notebook 13 which I glossed over when Michael Dolzani was editing the Renaissance Notebooks and which then disappeared between the cracks. These include notes on the Alexander lectures, notes for T.S. Eliot, and a series of entries on the imagination. They should have gone into the Miscellany volume. We’ll be posting all three recovered sections from Notebook 13 in the library shortly. This entry was posted in Bob Denham, News, Notebooks, Unpublished Work on September 3, 2010 by Bob Denham. 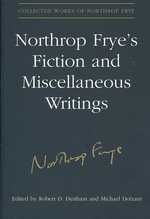 This entry was posted in Bob Denham, Frye on Philosophy, Notebooks on August 27, 2010 by Bob Denham.